Those of us in the Indie publishing game have the same trials and errors that authors with agents have, only we don’t have that extra pair of eyes looking over our shoulders for errors, or whole reams of advice and contacts as we take our book to market. In taking “The Ghosts of Ukuthula”to market, I actually sought out agents, doing so at the Willamette Writer’s Conference in Portland, Oregon. Don’t miss it, you can still sign up and it’s one of the best places for Indies to link up with publishers and agents! Click here to see what they do! Having linked up with two agents, I then sent out the first 50 pages of my MS to them and was rejected. What had I done wrong? Why had I missed the boat? To say the least, I was a bit miffed, but gritted my teeth and went back to the editing/proofreading and smoothing out the chapters and plot of my MS. Looking back, I can see now that the MS wasn’t up to snuff and am glad I persevered. Here are 5 things that I did over the next 9 months to work the kinks out of my book! I used an Indie Writer’s Guide which I purchased from Prof. Jill Kelly while attending, guess what? Click to see where I met editing guru Jill Kelly! What a gem for only $5.00! I ended up rereading my novel several more times as I deleted whole sections of chapters that had no attachment to the main theme and story of my book. I found redundancies and repetition of words that could be easily cut or changed to better more delicious phrases. I scribbled and rewrote to keep conversations in the same tense and keep to the main point rather than having useless digressions. You can probably still get a copy of this editing marvel from Jill if you got to Click to see her website. Then I found 4 of my friends in Hood River who really wanted to read my MS and who were willing to give me blunt feedback on what they liked and didn’t like about the book. I made copies of the full book and handed them a red pen and said, “Get on with it!” Boy did they ever! Four different people read and edit in four different ways! The retired psych prof. told me how my women needed to have stronger roles and be more than just adjuncts to the men! 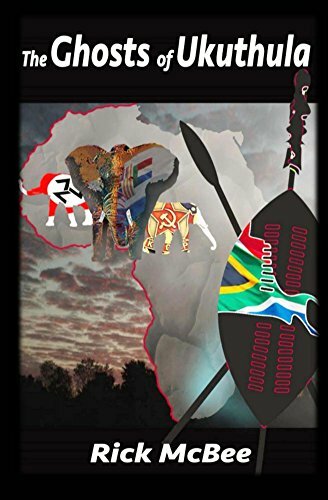 The retired minister read the MS with an eye to whether it matched up to his favorite African author, Wilbur Smith! Click to go to Wilbur Smith’s site The retired editor/publisher found more run on sentences and grammar errors, and the retired Coast Guard Captain straightened out my military plot. So in the end I then reread my MS 4 more times, each time changing, adding, cutting and reordering sections to pull everything together into a whole. You think I was done then? No Way! I then contracted Black, White and Read Tours (Click to find out about their blog tours of books! )about professional editing. This took another month followed by my again reading and catching other minor errors in punctuation, plot and characters. I also rewrote several sections in response to their questions. At this point I was ready to go back to the publishing arena and see about getting the MS published. By now, I was convinced that I really wanted to go directly through Click to visit CreateSpace where I could be the master of my own destiny in publishing. This I did and am now into improving my marketing. These five resources have helped me immensely in the past 9 months and I believe my writing skills and career are beginning to take form. With a bit more work on my own part and the sound advice of others, I think I may move my book into the upper levels of sales. Check me out1 Click here to go like my author site.